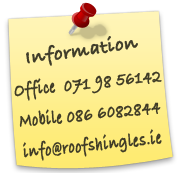 It is the customers responsibility to ensure that their choice of roofing material is best suited to their individual application and location. No responsibility will be entertained by Glenwood Environmental Limited in the regard. Please contact us for a full list of our Terms and Conditions.